Hey Guys! sorry its been a while. We've been so busy we literally haven't updated this site in years. With any luck we will start putting some more news and information on the lovely goodies we have in store for you. Do check our FB page link on right for fresher news in the meantime. Here'es a pretty good video challenging the idea of what a good bike should be. We are the official Philippine distributor for Jones Bikes! After months of torture-testing and even racing a Jones frameset, the time has come to redefine rigid riding in this part of the world. We join a like-minded lineup of Jones distributors all over the world. Framesets, handlebars and other Jones goodies now available! We will be ordering another batch soon, so please drop us a line if you want to inquire, or pre-order your very own Jones! Two millimeters can make a big difference! A fresh batch of ESI Grips are en route to your favorite shops, including some in Extra Chunky flavor. These are perfect for rigid riders, or those with larger hands! 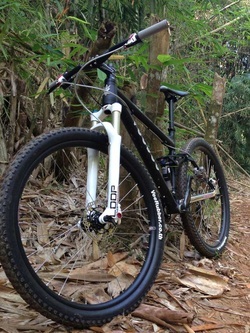 Our much-anticipated Jones diamond demo bike has been ripping the local trails recently. It's a no-nonsense build, with a selection of dependable parts - which are a perfect match for the bombproof frame and fork combo. Friends who've taken the Jones for a spin have remarked how comfortable the riding position is. 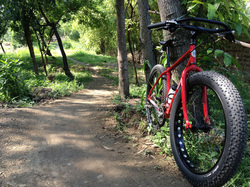 We agree completely but even at 32lbs this bike feels nimble and capable. 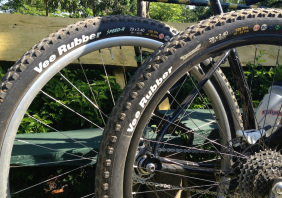 The fat front gives gobs of traction, flotation, and takes the edge off roots and rocks. 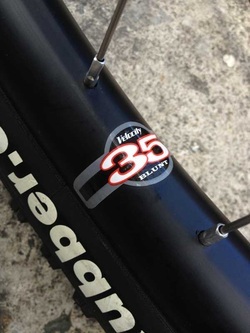 It can be a bit slow off the line, but once rolling this bike just wants to keep on going. 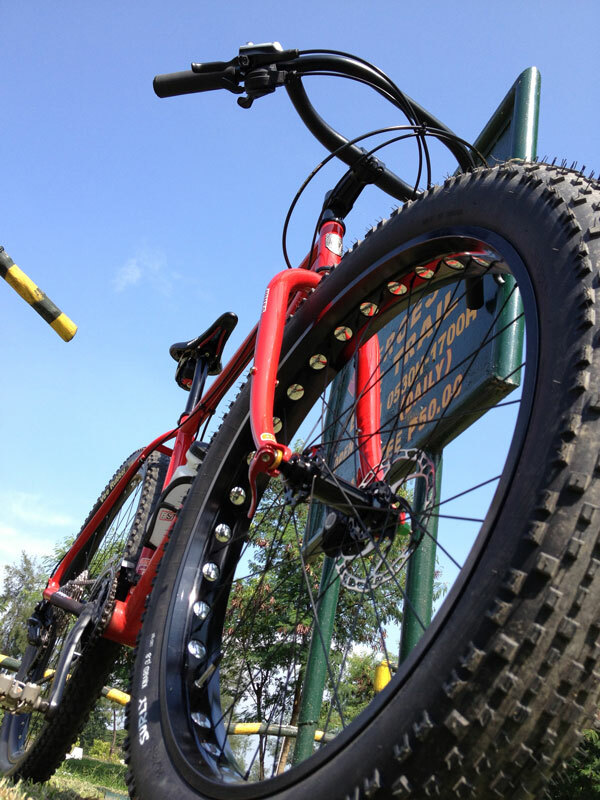 Besides, that's why we've spec'd it with a 3x10 drivetrain. You can easily build this up as a 2x10, 2x9, 1x1 or any possible gear and drivetrain configuration. Shimano's new Deore group may not have the bling or flair of it's siblings, but it is utterly dependable. Gearshifts were smooth, though the front derailleur just about clears the rear tire. It has yet to make contact and rub. The brakes have yet to bed in completely, and the lever stroke may seem a bit deep (this is a personal preference, but some test pilots actually like it that way). Since this bike is meant to be a showcase, we will also be building a regular 29-inch front wheel so we (and you) can do comparisons. 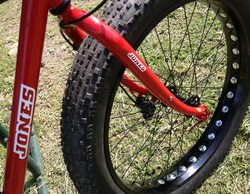 We also have a pair of Schwalbe Big Apple 29x2.35 slicks on standby for urban assault/road duties. Versatility is one of the traits of this bike, and we intend to explore the possibilities! 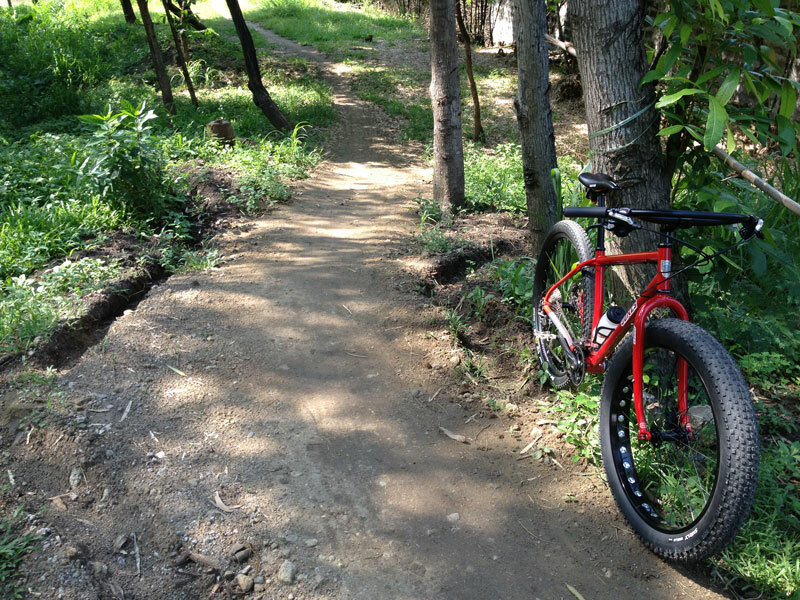 We at My Next Bike feel that the best way to appreciate a bike is not by ogling it at the shop floor, but rather to take it out on the trail for a ride. That's why we've got a few demo rigs "lying" around. Case in point, the VooDoo Canzo 29, shown below. VooDoo updated the Canzo frame with a tapered headtube, gussets in all the right places, a reworked rocker arm and a Rock Shox Monarch RT3 rear shock. We built up the 'Zo to showcase the different brands and products that we distribute, so here's a quick rundown aka dissection. The rest of the build is comprised of a Shimano XT drivetrain (as a 1x10), Shimano M629 rear hub, Hygia SLP brakeset, Shimano PRO Vulture saddle, XLT stem, and Thomas Vanderham signature low riser bars. While different riders will have different opinions on anything (bikes are subjective anyway), most demo riders commented as to how well-behaved the rear of the Canzo felt. No excessive bob even at full open. With the platform on it did ride harsher and a tad more progressive. For the White Brothers Loop, it's as set and forget as it can be. The Aura damper and magnetic valve work smoothly and are pretty much left to do their own thing - barring slight tweaks to the fork's compression mid-ride to match the Monarch RT3 on the rear. For rolling stock we chose a Vee Rubber Speed-R for the front, and a lower-knobbed Mission for the rear. The Blunts, with their 35mm wide profile, help widen the footprint of the already "large" 2.4-inch tires - giving the Canzo confidence when hitting the rough stuff. Despite their weight (around 730g each), the tires roll surprisingly well. Besides, we think the whole weight-weenie thing is countered by the compromises to handling, stability and durability. Speaking of which, the Canzo, as built comes around 29lbs.